What is social anxiety defined as? "Social anxiety is the fear of interaction with other people that brings on self-consciousness, feelings of being negatively judged and evaluated, and, as a result, leads to avoidance. Social anxiety is the fear of being judged and evaluated negatively by other people, leading to feelings of inadequacy, inferiority, embarrassment, humiliation, and depression." Starting in high school and progressively getting worse afterwards, social anxiety was a major struggle for a portion of my life. After high school, I didn't keep in touch with any friends outside of the internet. I spent all of my time inside playing video games or browsing the internet. I didn't connect well with people and felt distant and outside of the circle. It wasn't until about a year after high school when I got in touch with an old friend and starting to hang out with him and his friends. I was a social wreck jumping back into this process of social interaction. I had horrible social anxiety and was scared to talk much or do much in front of them. I was worried that they would think something I said or did was dumb. These were all people who I previously knew in high school, who were my friends before and were always nice, but I was still scared to be around them. I remember purposely sitting in the back seat of the car and quietly looking out the window as my friends talked with each other or sang along to the song that was on. I remember when I got my first job and how nervous I was to be on that cash register, literally shaking and stuttering when interacting with a customer. Don't get me started if the customer was a cute girl. I was practically petrified. Now, I'm a totally different person. I love being social and find it very easy to talk to random strangers on a daily basis. I enjoy being the life of the party and have been offered work as a club promoter twice. I am very comfortable with other people and feel connected. I did it all without a prescription. 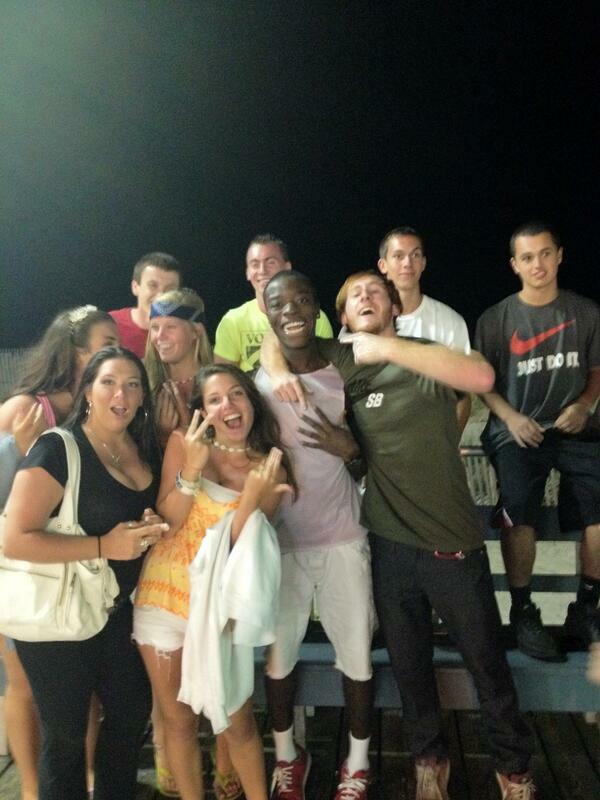 Photo is of me (middle-right, green shirt) with people I just met that day on the boardwalk. First off, let me make it clear that social anxiety is very much so possible to get over without the use of pharmaceuticals! You do not have an incurable disorder and you don't need special help, even if you feel you might. I promise you, you will get over this all on your own through self help and it won't be as hard as you think. The reason we get social anxiety is from two things. First is our worry of the situation turning out bad or embarrassing, the second is because we lack social experience. You should first work on getting over your worry of embarrassment since it's all mental. It's all in your head. You are thinking about a bad situation that hasn't even happened! You are thinking about what could go wrong and getting yourself in this mindset that it will go wrong. The way to get over this, is to change your mindset. 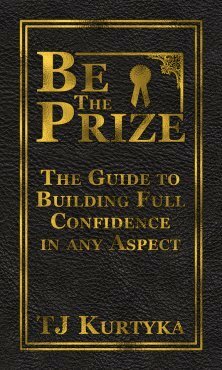 Start telling yourself you will be fine in social situations. It will be strange at first and you may not fully believe it right off the bat, but the key here is consistency! Make yourself a note or set a reminder that you'll see every day telling yourself that you are fine in social situations. It's going to take a while, but you will change your mindset but doing this. Think positively about the topic all the time. You will really notice your mindset has changed. We get into a habit of thinking of the worst outcomes happening to us and they probably wouldn't even happen anyway. How about thinking about how the social interaction could go right? There's even a huge possibility the interaction goes way better than you even expected! If you want further help on how to change your mindset, check out the page on Overcoming Fear. Next you have to gain more social experience. Being social is something that gets better with practice. How can you expect to be more social if you don't try talking to people? It may be a little bumpy at first, but just give it time and you'll be more and more comfortable with every person you talk to. 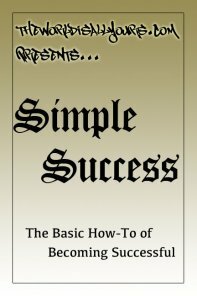 You don't have to have full out conversations with people, you can keep it simple at first. When you walk by someone and your eyes meet, say "Hey, how's it going?" "As they pass they'll probably respond with, "Good, thank you." or something and you're done. Practice this at first until it feels comfortable and natural. Set a goal to talk to a certain amount of people if you'd like. Could be one in a day, could be three in a day, could be more. That will help you actually talk to people and it will feel great if you exceed these goals. You can have social interactions with anyone throughout the day. Standing in line next to someone at the store is a perfect opportunity to have a quick practice conversation with someone before you get to the cashier. When you see the opportunity to talk to someone, take it! It's only going to help you get better. This is going to take practice. I'm sorry, but you are not going to become a social butterfly overnight. It just takes some getting used to and then it will be a piece of cake. Consistency is key so keep practicing! I went from being afraid of hanging out with my friends to being able to go out to a nightclub by myself and talk to whoever I want. This is what will work! Another thing that was a huge help for me was opening up my throat chakra. Your throat chakra is reflected by self-expression and creativity. If you have ever experienced getting in front of an audience and felt your throat tighten up, you've felt your throat chakra letting you know you're uncomfortable with the situation. Opening up your throat chakra will help you feel more comfortable when talking to others and expressing your opinions and emotions. You will physically feel your throat loosen up and feel more comfortable as you open it. 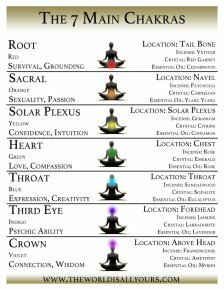 Check out the page on Chakras to learn more about opening yours now.